Posted July 21st, 2015 at 11:53 am. During her summer internship at Harvard Forest and Black Rock Forest, McCabe got a close-up look at just how hard members of the Formicidae family have to work these days just to survive. “Our forests are under threat from two different tree-killing blights,” she explains. 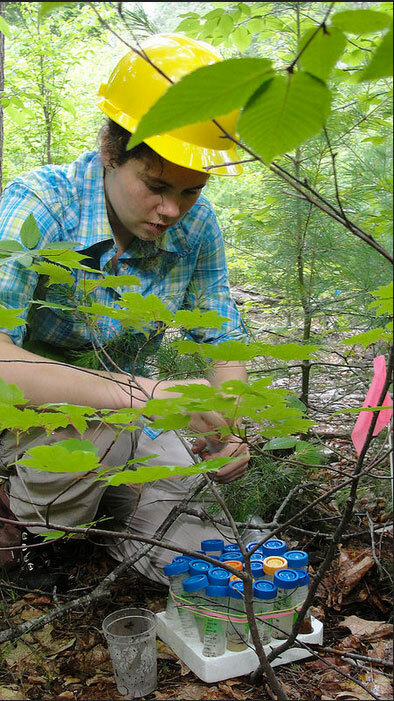 Wooly adelgid, an invasive insect, is killing off Eastern Hemlocks in the Harvard Forest, while Black Rock Forest is at risk from an outbreak of sudden oak death. Theirs isn’t the only story waiting for a resolution. McCabe herself has taken her internship as an opportunity to consider life after Bryn Mawr. Having had her sights set on graduate school, she was thrilled when her fellow interns proposed a GRE study club. Then again, her mentor has put her in touch with contacts to talk to about corporate jobs.